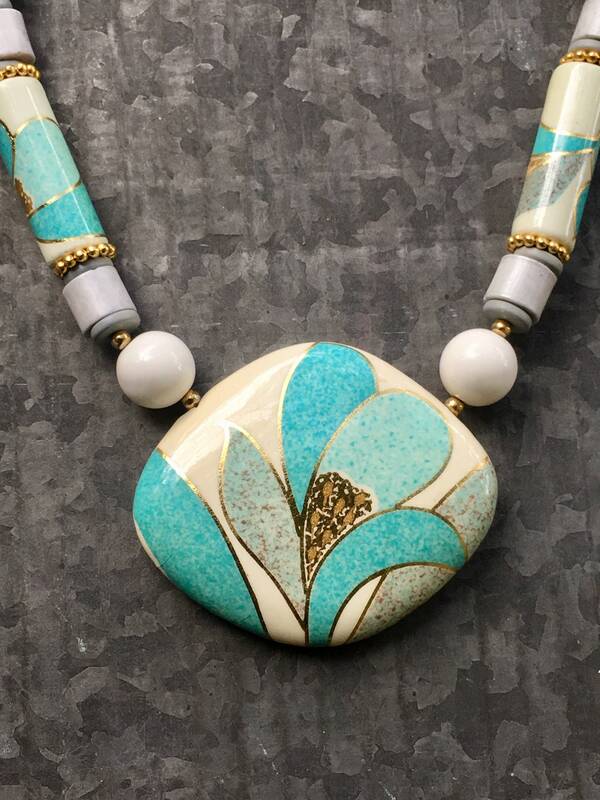 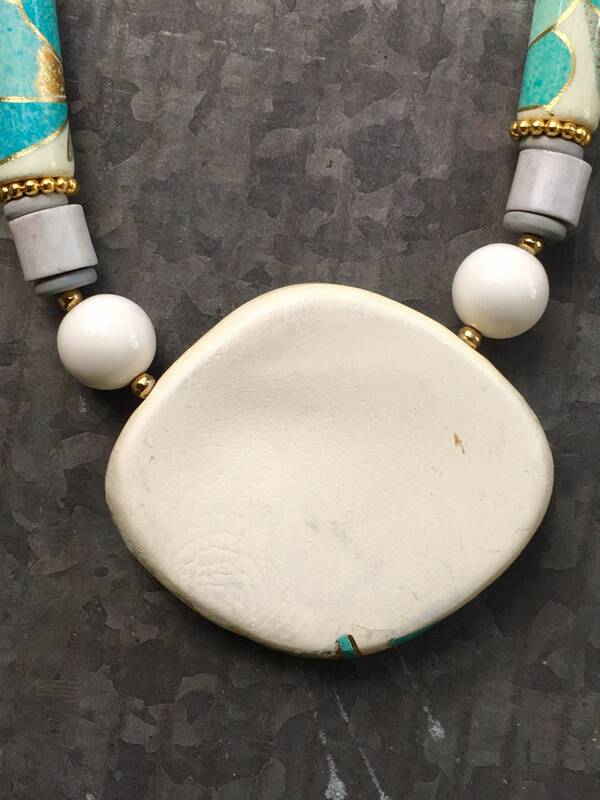 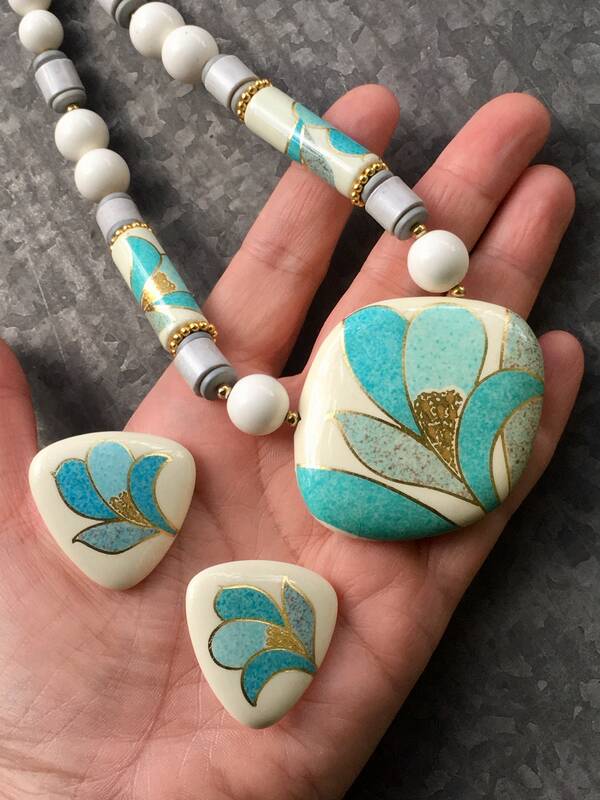 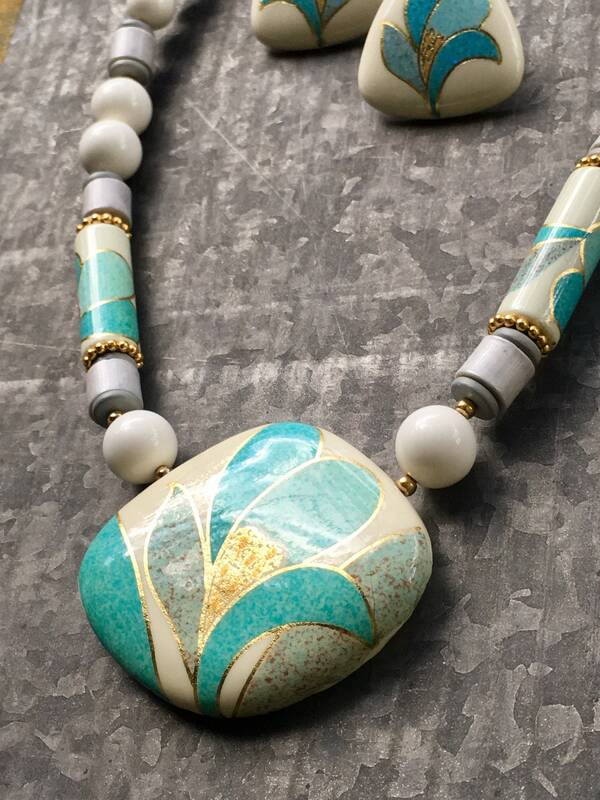 This is an OLD/NEW Vintage Necklace and Earring Set, made from Japanese Ceramic and plastic beads. 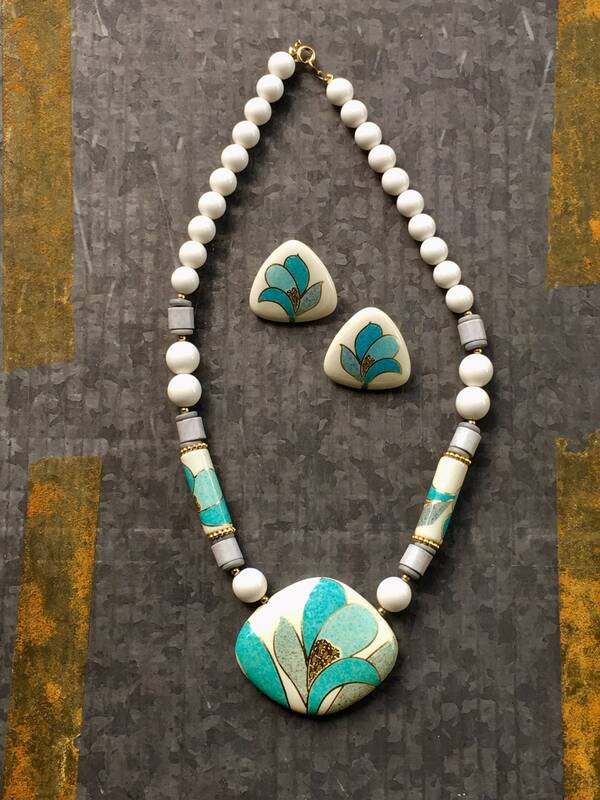 This set is in pristine condition and has never been owned. 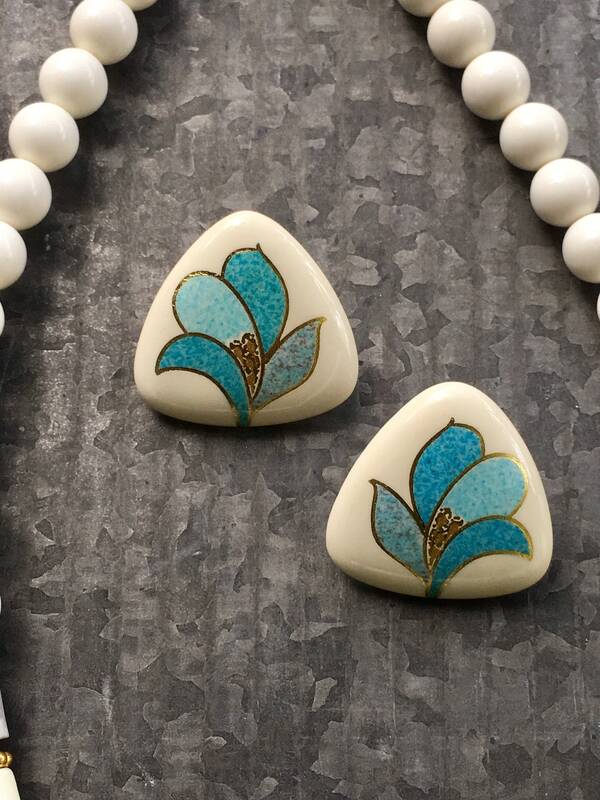 I think it would be perfect for people who love vintage jewelry. 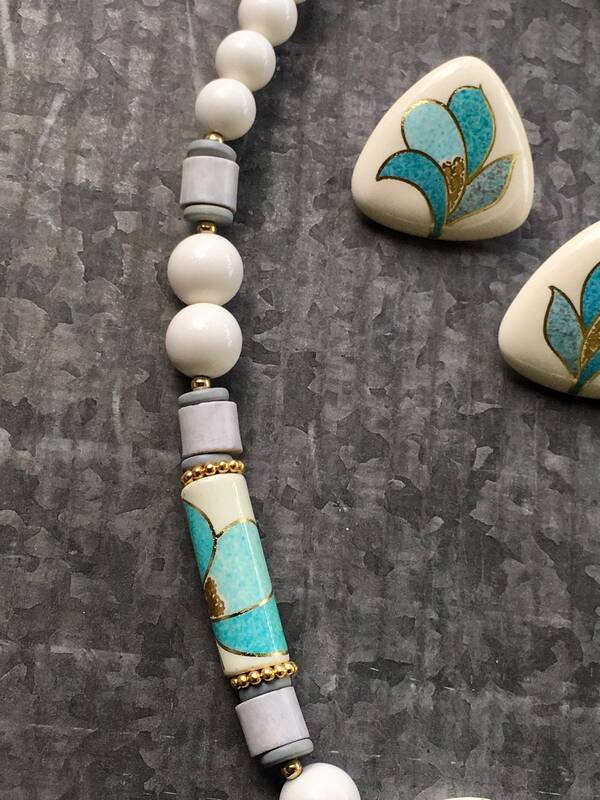 I can also see it finding new life as Modern BoHo style. 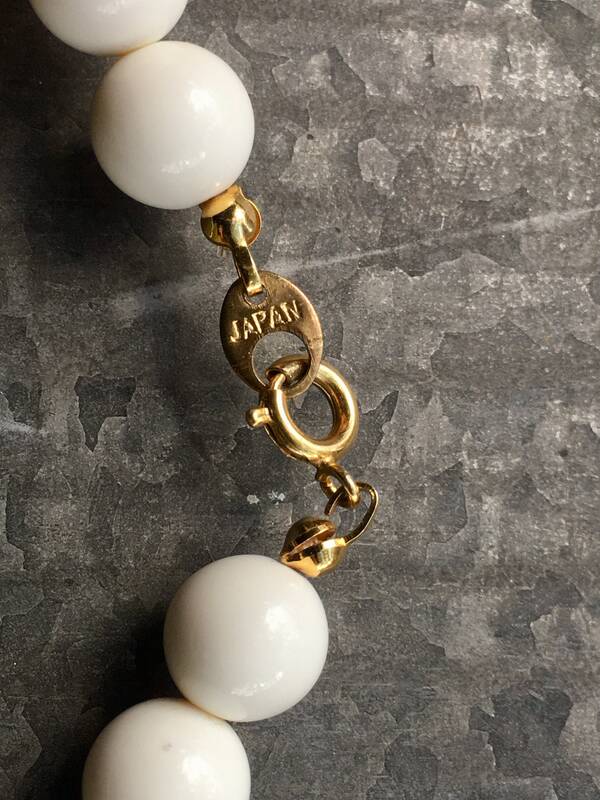 • Fashion Gold spring clasp, stamped "Japan"